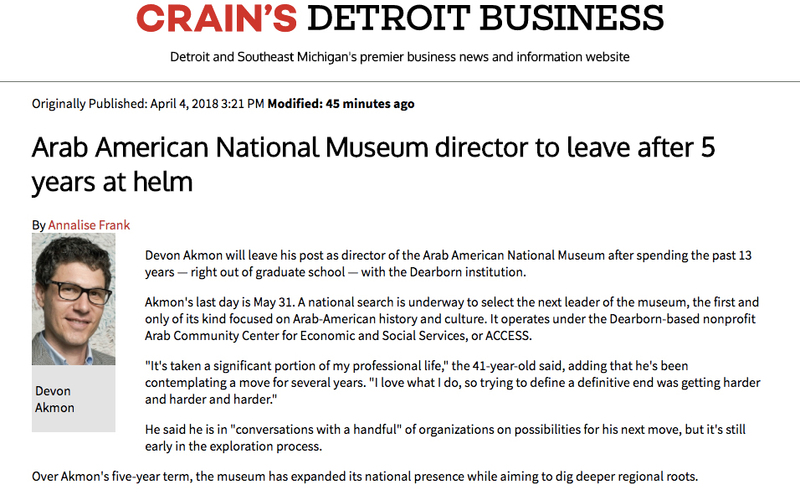 After 13 years of helping to establish and grow the Arab American National Museum, I’ve decided now is the time to pursue new opportunities and experiences. I will forever cherish my time with the Museum, which includes four years as deputy director and five years as director, and I am immensely proud of what our team and community have been able to achieve. I know the Museum will continue to flourish and I look forward to supporting the institution far into the future. More to come soon on my next chapter! Until then, here is some coverage of the public announcement of my transition. 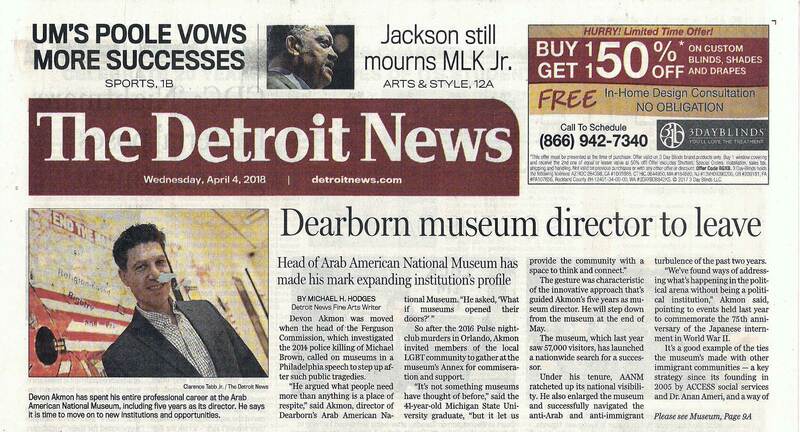 Arab-American museum director leaving after 5 years (via The Detroit News).